In the 2017-2018 season, CONCORA (Connecticut Choral Artists) celebrates masterworks of the choral art, with fresh interpretations of music that many consider the greatest examples of the genre, including the Requiems of Brahms and Mozart and Bach’s monumental Saint Matthew Passion, all under the direction of Artistic Director Chris Shepard. Subscription sales for the 2017-2018 season have ended - Thank you! Subscription sales for the 2017-2018 season have ended. Thanks to our many loyal patrons, subscription sales increased 300% over the previous season! Subscribers enjoy the best prices of the season and have guaranteed seats for every event. Subscriptions are available for preferred, general admission, senior, and student tickets. To receive earliest notice of CONCORA's 2018-2019 subscriptions, click here to sign up for our free insider newsletter. You won't want to miss a thing! This PDF edition of CONCORA's 2017-2018 season brochure isn't really print-friendly. If you would like to receive a print copy via postal mail, contact the CONCORA office at 860-293-0567 or contact@concora.org. 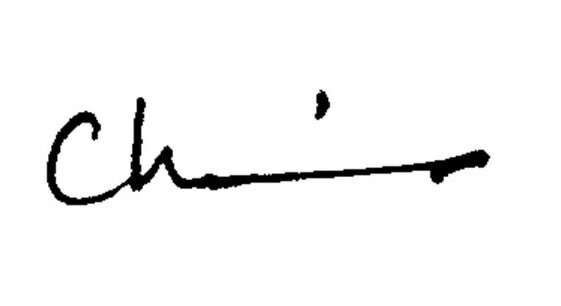 We would be happy to send you a copy and add your name to our mailing list. eternal. Yes, it is unquestionably strong—but also, in the hands of a master, the designs are delicate and suggest infinite possibility. No novice can simply set out to create metalwork and expect perfection; that is solely the domain of the true master. This is true of choral music as well. Over the centuries, many composers have created perfectly good music that is beautiful and continues in the repertoire. But like the great metal artistry shown in our event images, only the true choral masterpieces combine the uniqueness, breathtaking artistic detail, and durability to remain fresh and compelling. These anchors of our choral art remain capable of transforming us each time we experience them anew. Three works stand out like great iron gates: Brahms’ German Requiem, Bach’s Saint Matthew Passion, and Mozart’s Requiem. Each in their own way, these works offer entry into a world of power and beauty, sorrow and joy. Musical trends and fashions come and go, but these great choral masterworks stand firm. They are an artistic force to be reckoned with, to come to terms with, to wrestle with. Like a master painting, each bears re-visiting; there is always more to learn and to share with new audiences. 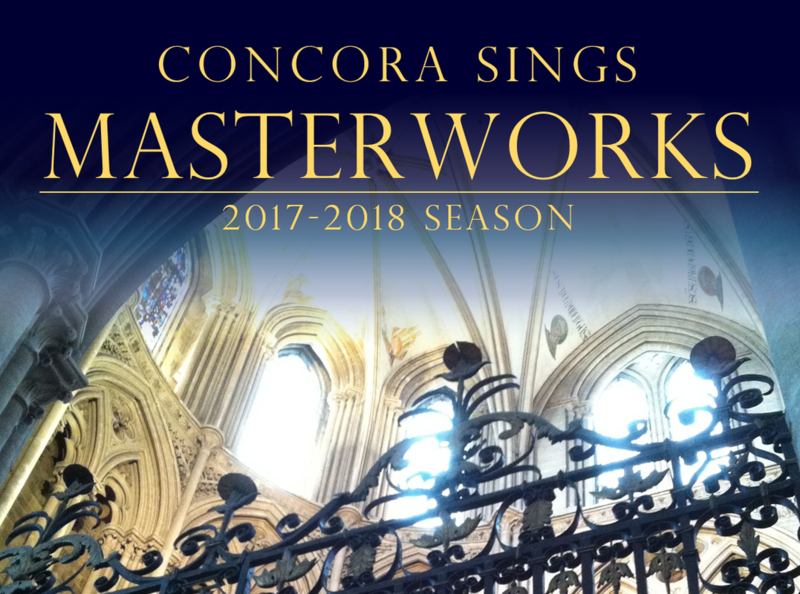 Other monumental pillars of the choral edifice — Gregorian chant, settings of the Latin Mass, and African-American spirituals — round out CONCORA’s 2017-2018 Masterworks season. We look forward to presenting these enduring classics with a fresh voice, hoping that you will join us to revisit, and be revived by, these foundational works of the choral repertoire. Come be part of our 44th season, and let us experience together the awe-inspiring works of the master builders.